This version is the timeless classic that many people just call “Solitaire”. Try to clear all the cards from the table using traditional scoring or the popular Vegas scoring system. Log in with your Xbox account to earn achievements, compete with your friends, submit your scores to the leaderboards, and track your personal gameplay statistics. Microsoft Solitaire Collection’s new Play, Pause, Resume feature lets you pause your game, and resume it on any compatible device — all without missing a beat! 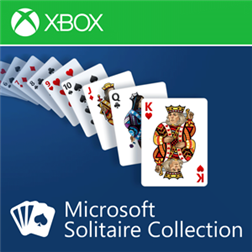 If you like Microsoft Solitaire Collection, be sure to check out other Microsoft Games such as Microsoft Mahjong and Microsoft Minesweeper today!